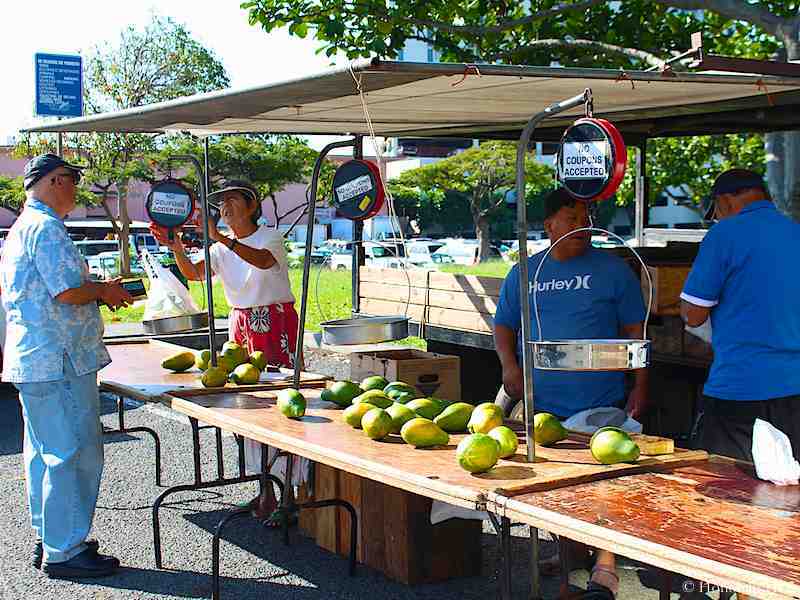 The People’s Open Market program was started in the 1970’s as a response to concerns about the high cost of living on Oahu. These are not typical markets, by any means. 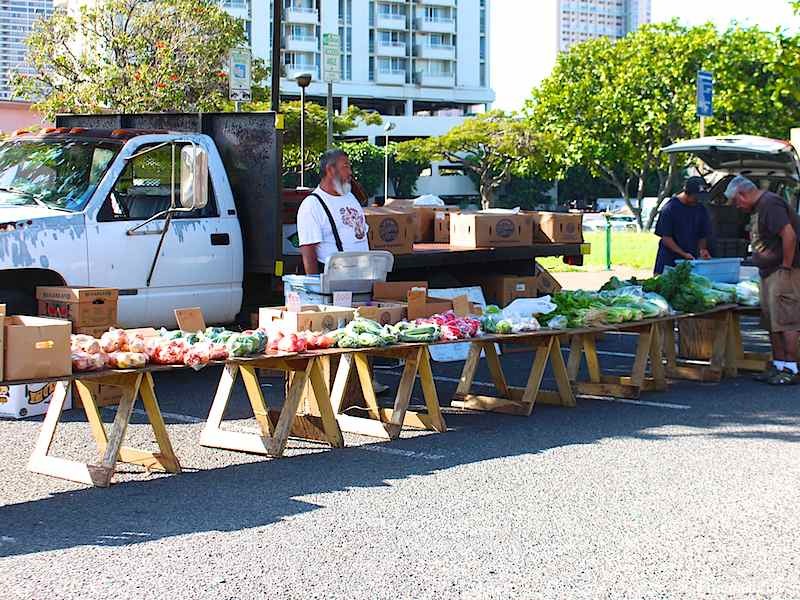 At these events farmers and vendors sell their ungraded, off-grade and surplus produce. Lasting just one hour, it’s an opportunity to buy at lower prices than usual, but you have to move, and act, quickly. Occasionally you’ll come across tents selling fish or other food items, but there’s no way to know ahead of time if they’ll be there. It’s purely luck of the draw. The number of vendors is variable as well. 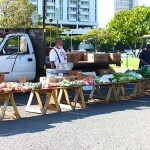 It’s a matter of if they have enough produce that qualifies to be worth showing up, so some weeks there are more sellers than others. It’s always on the smaller side, but if you like a deal, this is where you’ll find it. You will have to find street parking, which can be difficult at times. Metered parking is available on the north and east sides of the park, but they can fill up fast. Be ready to look around a little bit for a place. 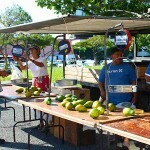 The People’s Open Markets are held all over Oahu and all are just 1 hour affairs. Buy now or it’s gone. It’s done so quickly that it may not be for everyone.